Notify me when back in stock! We are sorry this item is currently out of stock. If you join our waiting list we will let you know as soon as it is back. Just fill in your email address below. Email Please note that joining the waiting list does not guarantee that stock will become available. 🐰 Celebrate Easter in Greek style! See our Greek Easter hamper! Free UK delivery for online orders above £75! For some reason summer is the time when we most enjoy making granola. Maybe because the weather is nice and we get inspired to have nice breakfasts al fresco. 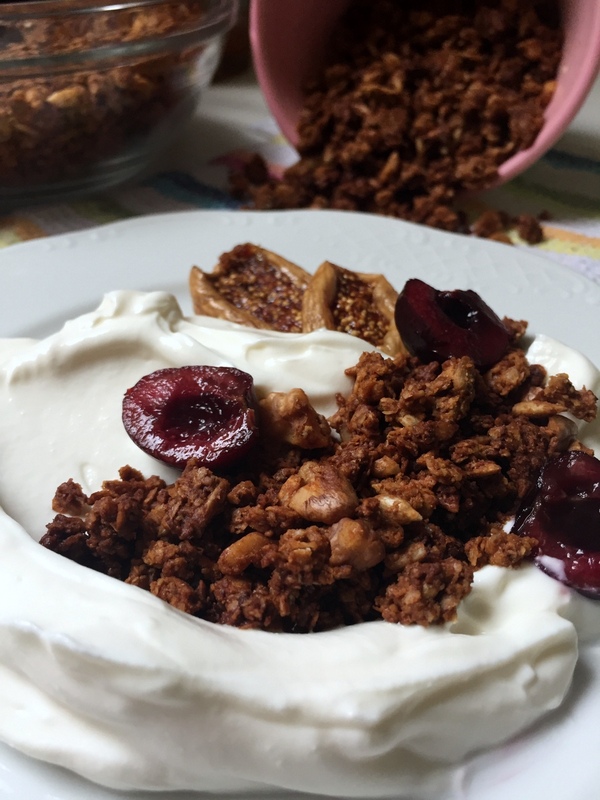 Last year’s granola was with our succulent dried nectarines and almonds. This year we’ve got something different for you. We have in store an amazing new product (and you know how much we love it when Marianna brings in new ingredients). 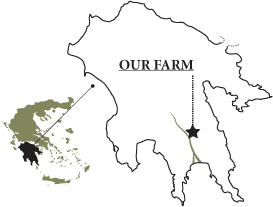 Our fig molasses is produced and packed for Oliveology by Moschoutas Farms in Evia Island. It contains only organic figs, water and a touch of organic lemon juice to balance the figs’ natural sweetness. It is a very unique product that adds depth to all your dishes. You can use it as you would use any other molasses. This week we’re using fig molasses to make our granola. We paired it with walnuts and (of course!) dried figs. And we’ve also added some tahini, to add some depth and nuttiness. Our secret ingredient is cloves. We have my mum to thank for this, since I grew up with her making every summer fig jam spiced with cloves. Preheat the oven at 150 C.
Place your oats, walnuts and sunflower seeds in a bowl. In a separate bowl whisk the olive oil, fig molasses, tahini, honey, cloves and pinch of salt, until all ingredients are blended together. Pour the liquid mixture onto your oats. Using your hands or a spoon gently stir everything together until everything is covered in the liquid mixture. Spread the granola onto a baking tray, covered in greaseproof paper. Bake, for around 20 minutes, checking and stirring every 5-10 min until golden. Once golden, remove from the oven, and let your granola cool down. Once cool add the chopped figs and stir. Serve with Greek yogurt and fruit and keep the rest in an airtight container. This entry was posted in Recipes and tagged breakfast, dried fruit, figs, honey, molasses, nuts, tahini, walnuts. We trade from Borough Market. Our shop is open every Monday-Thursday (10am-5pm), Friday (10am-6pm) and Saturday (8am-5pm). Enter your email and you will instantly receive a £5 coupon to use on your first purchase. The coupon is valid for first time purchases only, with a total cart value over £50. Subscribe and receive oliveology's news and promotions straight in your inbox!